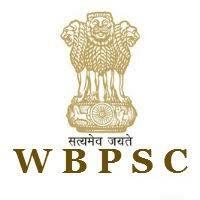 WBPSC Jobs Recruitment Notification 2019.West Bengal Public Service Commission inviting applications for the positions of Motor Vehicle Inspector.Interested and Eligible candidates can apply for the positions. West Bengal Public Service Commission, 161-A, S. P. Mukherjee Road, Kolkata – 700 026. 1. Applications can be submitted through online only in Commission's website at www.pscwbonline.gov.in on and from 11:00 a.m., 27th January, 2019.
a. Closing date for submission of application & fees through online : The 17th February, 2019 (midnight). b. Closing date for submission of fees through offline : The 18th February, 2019.